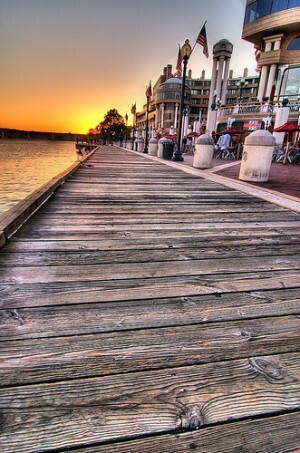 The Georgetown Waterfront. Lazy and uncreative shorthand for "wealthy" and "white"? Perhaps, but it's such a pretty photograph! Loyal DCentric reader @BelmontMedina used Twitter to point us to this WaPo story from V. Dion Haynes. Haynes says that jobs are “changing D.C.’s income and racial makeup”. Or, to be blunter, the people of D.C. are becoming richer and whiter. At the same time, the city’s proportion of black residents dropped to 52.7 percent from 59.4 percent, while its share of white residents rose to 33.3 percent from 27.8 percent. Why such a stark change? 1) When the City Paper included this story in their Loose Lips Daily roundup, they noted that the “District is becoming richer and whiter, says new Brookings report—just not on election day!” Zing! One D.C. resident had this to say about that snark wit. I mean, tweet. 2) Speaking of tweets, please feel free to send similar tips or story ideas to us via Twitter. We’re @DCntrc and we are always grateful for the help. SNAP, WIC, EBT -- What's the Difference? I’m wondering if these people would be interested in moving to Detroit and gentrifying it? Perhaps huge tax breaks for corporations and businesses could lure them? Detroit has cheap land, cheap houses, abandoned factories – all waiting for someone, ANYONE to come in and save it.